Ensure your family have one less financial concern with our range of flexible pre-paid funeral plans. Protection for your family when you die. The money can be used for mortgage, rent or even education costs. Insurance if you are diagnosed with a critical or serious illness and cannot work. Protect your home and possessions from the unthinkable, and the unpredictable! A family based company founded in 2011 in Cheshire, Manor Financial are one of the fastest growing insurance providers in the UK. Our goal is to become the UK's market leading insurance provider. We want to protect as many families and homes as possible from unforeseen events, such as illness, injury, or loss of life. We consult on a non-advised basis, meaning we give you all the facts and let you make the decision that will work best for you, your budget and your circumstances. We work with 5* Defaqto rated Insurers such as Legal and General, Aviva, Royal London, Vitalitylife, LV and OneFamily so you can rest assured that you are getting the best policies in the Country. Above all, we are here to help, so ask us as many questions as you like. Whether you are looking for advice, a quote or wish to take out a policy, Manor Financial have you covered. Simply fill out the form and we will give you a call back! If you are happy with our service then what are you waiting for? Let your friends and family know about us. For every person recommended who takes a policy we will give £50 Marks & Spencers vouchers as a thank you. 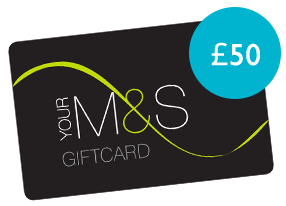 You will receive £50 Marks & Spencers vouchers once their policy has been completed and in place for a minimum of 6 months.